I have an OpenVZ VPS with a static public IP that also acts as an OpenVPN server. I want to be able to connect to the VPS via the OpenVPN network and, eventually, route connections to a few specific public servers through the VPN. 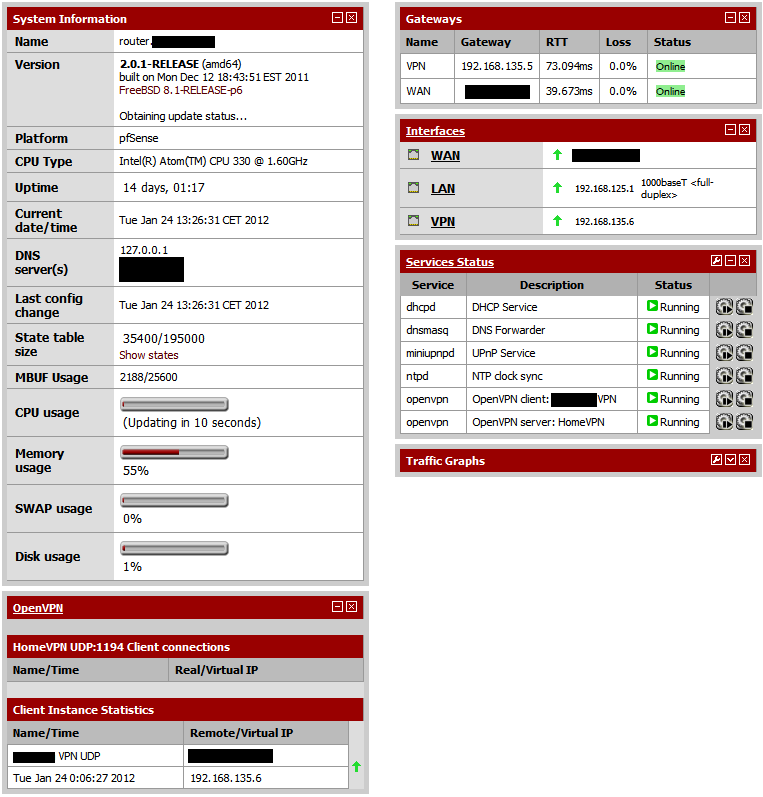 pfSense connects to the VPN happily (see image below) and will ping the IP address of the VPS via the VPN (i.e. 192.168.135.1), also connecting directly to the VPN from a machine inside HomeLAN works as expected, that machine can then ping the VPN server. What I would like is for any request originating from HomeLAN to the 192.168.135.0/24 network be routed through the VPN. The OpenVPN server has the push "route 192.168.135.0 255.255.255" command that should do this.